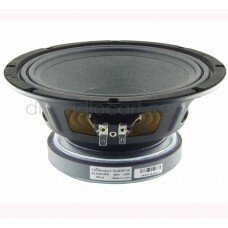 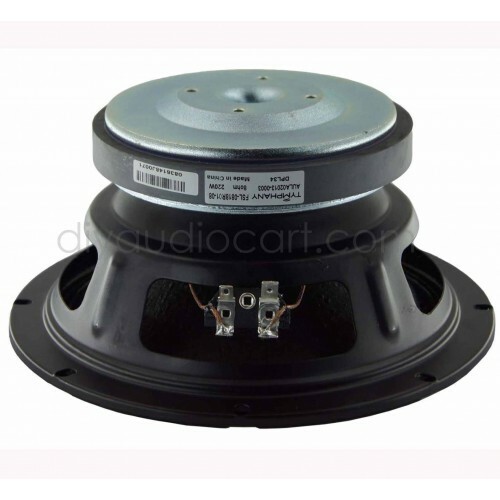 This 8 inch 8 ohm speaker features a FEA optimized ferrite magnet motor, a 1.8 inch high-temperature voice coil, vented yoke for motor colling, and a high strength stamped steel frame. 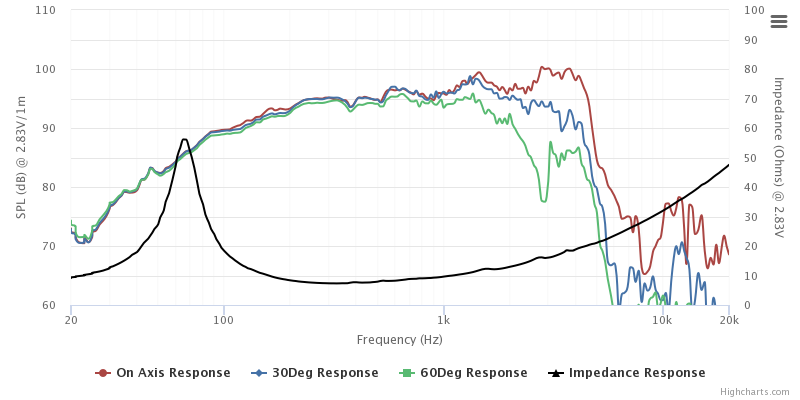 Kevlar loaded non-pressed paper cone to help dampen and control cone resonance. The multi-roll surround and spider have been optimized to reduce distortion over the excursion range of this transducer.